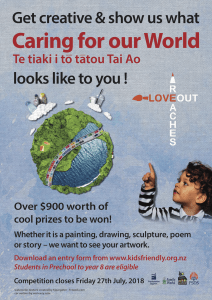 Ideas for Great Entries for the “Love Reaches Out – Caring For Our World” Art & Writing competition. 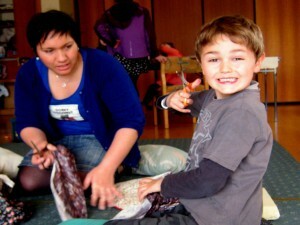 Create an inspiring space where children are encouraged to feel comfortable and inspired to use their imaginations. Use maps to find different areas of the world. God cares about everyone no matter where they live or how different their situation is to ours. Access the World Vision or Tear Fund websites to find out if there are any particular crises that need prayer. Scripture: The book of Acts is full of stories of Paul and the other apostles bringing the Gospel to the world of their time. Miss Rumphius by Barbara Cooney: As a child Great-aunt Alice Rumphius resolved that when she grew up she would go to faraway places, live by the sea in her old age, and do something to make the world more beautiful–and she does all those things, the last being the most difficult of all. The Gardener by Sarah Stewart: Bringing beauty to your world/neighbourhood by spreading joy and creating something beautiful. The Curious Garden by Peter Brown: One small person can transform the world. While these books aren’t specifically Christian they reinforce the messages in Jesus’ teachings. They all focus on caring for others and looking after the world around us. They encourage us to be outward facing and not just inward facing. Learning to translate our “Christianese” into a language that the outside world can understand is a wonderful lesson in Love Reaching Out! 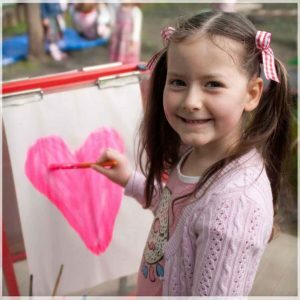 As you and the children work out the way in which you want to express your message, help them to decide whether or not they want to write or create an artistic expression –or perhaps a mixture of both. Offer lined and unlined paper. Have clipboards available as well as tables so children may find a spot for inspiration and park there. Offer many different coloured pens and pencils. Paper can also be multi-coloured. Some children like the feeling of writing on a notepad or a journal. Give them space and time to create something unique to them. ART ENTRIES For art you’ll need to decide if you’re doing a group project or individual projects. Think about what they might need as well as what is attainable for the amount of adult supervision you have. Lots of painting might not be a great idea if you are short-staffed. (Children who are beyond the age requirements may like to assist you!) That said, be sure that good materials (pastels, pens, crayons, paints, inks, good paper, card to “frame” creations) are in abundance (as much as possible) and that children have free access to them. With individual projects, children may need help brainstorming, but try to avoid being too prescriptive. As the judges look at the artwork presented, their eyes are naturally drawn toward art that is presented in a polished and lovely way. Children’s originality should be supported by a backdrop of some sort if it’s published on paper. Black card or construction paper that is slightly larger than your original paper works very nicely. Use the highest quality materials available to you. If your budget won’t allow for new items, ask your church or local community to donate materials. This boosts the children’s sense of importance for the project and it allows for a beautiful finished product. And most importantly HAVE FUN!